Federation storage depots have been raided by pirates, taking valuable minerals, jewels, ammunition and the latest battle weaponry. Federation storage depots have been raided by pirates, taking valuable minerals, jewels, ammunition and the latest battle weaponry. You have been commissioned by the Federation to retrieve the cargo and return it to a storage within a specified time limit. Extra points and an extra ship will be awarded if you succeed. yawn. another shoot 'em up. 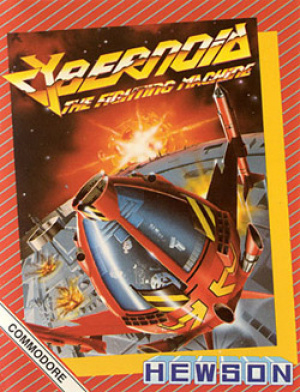 if anyone wanted a good shoot 'em up, they would have already downloaded one of the widely acknowledged great shoot 'em up games. @Bass - I am quite fond of this one. Its an exploration game as much as it is a shmup. It offers a very different experience from the shmup games already on VC. Good choice for Commodore to release this one. Yeah. I have to admit I don't know much about this one. Awesome! 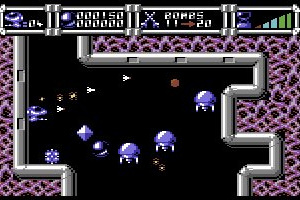 I remember playing Cybernoid for HOURS on the C-64 back in the day. 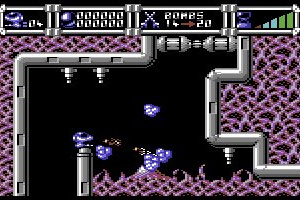 It may look like a shooter, but it has as much exploration involved as the origindal Zelda or Metroid games did. 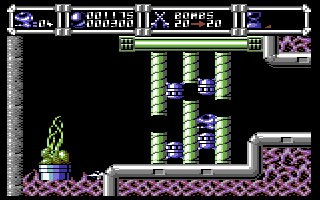 Watching that video I can remember vividly a lot of those enemies and power-ups... so I guess they're still burned into my mind even 15-20 years later! 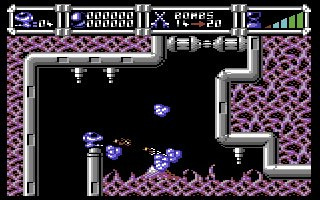 Did the C64 have good or bad grapich? Metroid meets SHMUP... ME WANTEE NOW! Yeah I remember this one, pretty good though i can't remember if I preferred this or the sequel on the Spectrum. 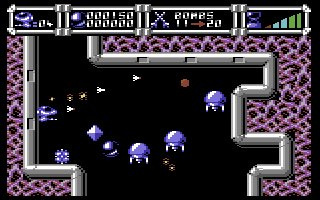 This was designed by Raffaele Cecco, one of my favourite old school game designers who also did Exolon, Stormlord and First Samurai. @BassX0: yeah, probably a good idea to check the game out before blasting it for being something it's not. At least check out a video - it's clearly a flip screen exploration game with some shooting elements, not a shooter. No thanks. I'll go for one of the TG-16 shmups. Looks pretty cool, I may download it. I somehow managed to get the game to reset to the blue C64 startup screen where you can type stuff in (programmes, pokes etc). It seemed random as I'd just started the second level. 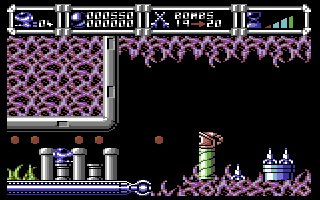 Has this happened to anyone else and is it in anyway an important discovery as it seems that behind every game there must be a fully working C64 emulator in which case...can't we just have that Nintendo? 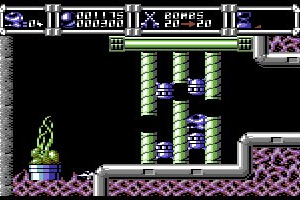 Music is by Jeroen Tel, who also did the music for Lemmings. Guy's a genius in his own right, methinks! This and it's sequel were truly great (if somewhat hard) games. The exploration/shoot 'em up gameplay, along with the ludicrous amount of weapons and upgrades on offer make it a really interesting game. 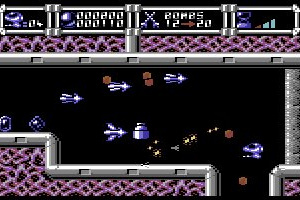 The soundtrack and graphics are further proof that in the world of the 8-bit machines, the C64 was king! 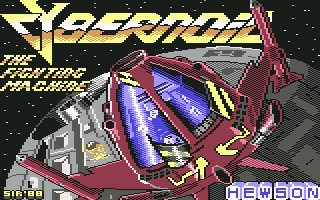 Lets hope the Hewson back-catalog gets extended to include Exolon, Lightforce and Eliminator. They too were favourites of mine back in the day! It's like the very first Metroid game, with a spceship instead! 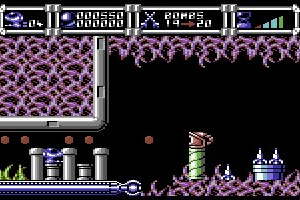 "Exploration" is not the term I'd use to describe this game, as, unlike Metroid, it's completely linear. 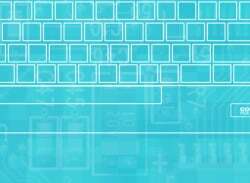 Each screen has one entrance and one exit. However, it's not a shoot'em up either; it's more of an action puzzler. Again, the player in the video plays a perfect game and makes it look easier than it is; play it yourself, and you'll see that many screens require some thinking, you can't just rush in. Don't believe the hype, this was always a truely abysmal game that relied more on the high quality graphics and sound (for it's time) than any kind of merit gameplay wise. The game is basicaly a flick screen shooter, where you travel from screen to screen shooting enemies and dodging dangers, there is no difficulty curve to speak of, and surviving many of the screens is completely reliant on luck. Jesus! That's a harsh critique! I think you'll find an element of luck is involved in the fundamentals of most shoot 'em ups, otherwise you'd just be able to plot your route though the levels. I admit the game is an acquired taste, but it's not exactly an abysmal game is it? You've obviously not played Double Dragon on the C64! When I play Double Dragon on the C64 I feel mildly bored, when I play Cybernoid I feel as though a seven year old is making me punch myself weakly whilst repeating "stop hitting yourself" over and over for half hour whilst Joe Pasquale is doing a rendition of "I know a song that'll get on your nerves"
Lets agree to disagree. 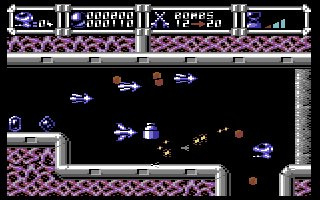 I personally think the Cybernoids are great games, though maybe as a VC upgrade, the aforementioned Joe Pasquale soundtrack would be an added bonus. This game is crap! i've seen better than this on the 2600. How does that make it crap? The 2600 had tons of great games. Thanks Jesus 666, I thought that this looked familiar. I remember the NES version, but I never played it. I just remember seeing it in Nintendo Power and thinking it looked hard. 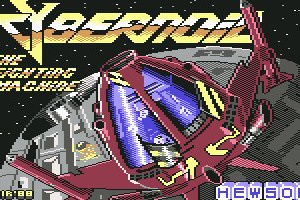 Is Cybernoid II: The Revenge much better? until I beat its short 3 stages. Game has now been given a rating by the ESRB which is rated E, which means there will be a release on the VC in North America for a future date. there's this spot with three elevators on stage 2 I just can't seem to get past. I've reached it about twenty times now, i can get to this spot without dying even once, yet I've never managed to pass it. Yeah, never mind, I got past it. Managed to reach level 3 now - damn this is one addicting and awesome game. I'd say Solomon's Key is a more fitting comparison than Metroid, though. The rooms are all small puzzles, you often get tons of crap sent at you in a "THINK FAST, oops, that was the wrong reaction, you're dead" fashion, you have limited lives, but can amass more by going out of your way to get risky pickups, and you need to preserve ammunition for specific spots to have a better shot at making it through alive. I only have the NES version of the game, but oh man is it AWFUL!